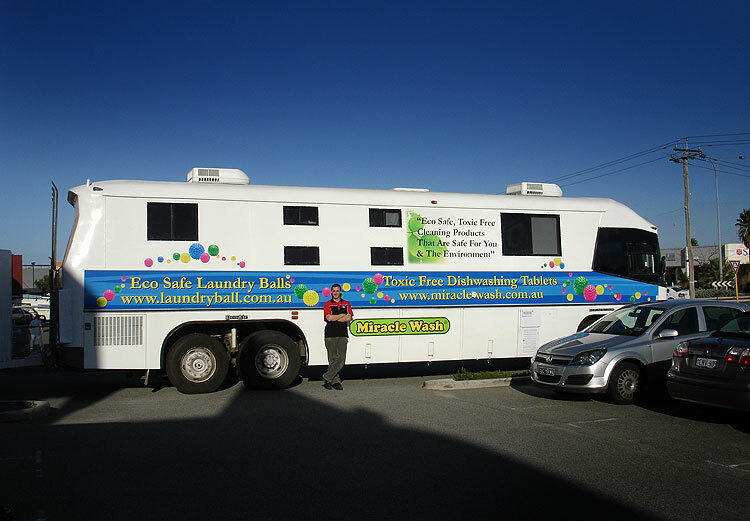 It doesn’t matter what the size of your vehicle is – even if you require bus signs or a bus wrap, Perth Graphics Centre is able to help. 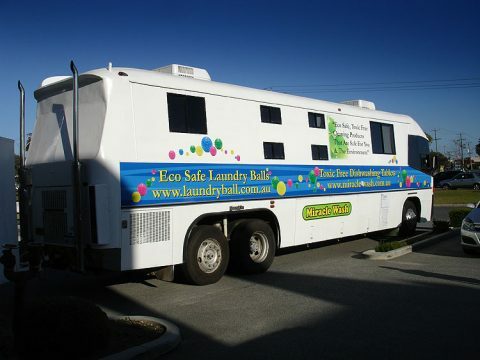 Laundry Ball enlisted the help of PGC to design and fit bus signage as you can see in these photos. Using high quality print and vinyl with weatherproof overlaminate, the finished product – which is currently touring Australia – certainly stands out. If you have bus signs that you require, or a bus wrap, Perth Graphics Centre will be happy to tackle the task!